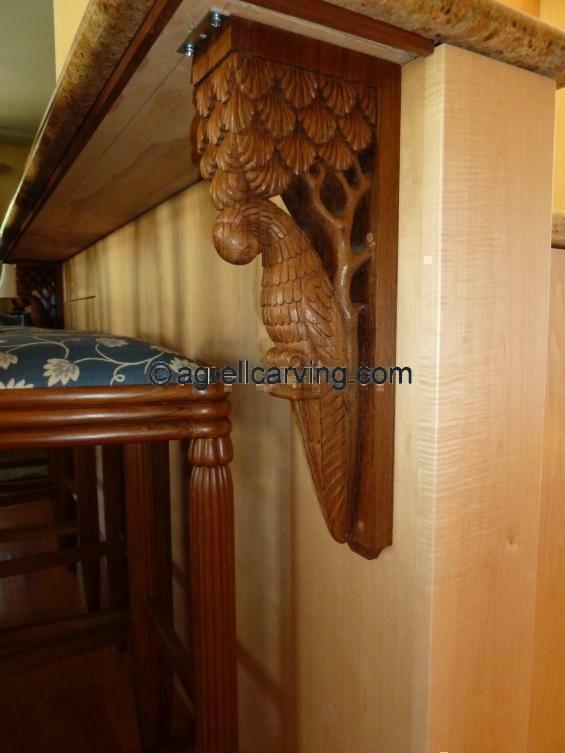 AAC Animals Deco Bird - parrot - bracket design by Armand Rateau hand carved by Agrell woodcarving. Description: Carved wood parrot bracket. Design by Armand Rateau. Carved by Agrell Architectural carving. Read more about Parrot bracket.